I haven't posted much lately so I thought I'd at least link up today for Five for Friday to share a bit of my week. On Monday I played the song from Flocabulary that goes with the Mesopotamia unit. I've done a lot of songs with my lessons lately but my students really enjoyed this one. This song is great to review everything about Mesopotamia, it includes almost all of the key vocabulary. We read a short version of the Epic of Gilgamesh this week. 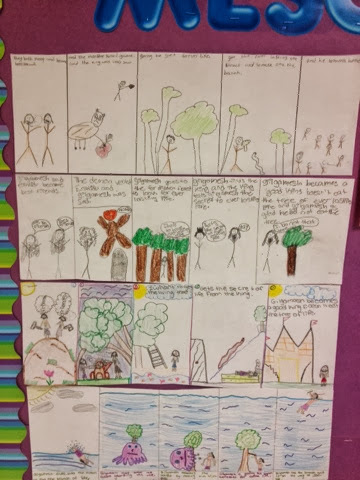 I then had my students create comics to illustrate an adventure Gilgamesh was in. I was impressed at their creativity making the comics. It was a great lesson in sequence of events. Last Saturday I went to the Brushy Mountain Apple Festival near the mountains with my parents. It was a beautiful day for it & I was able to find a couple gifts for people at work. We also saw some pets they had at the petting zoo. 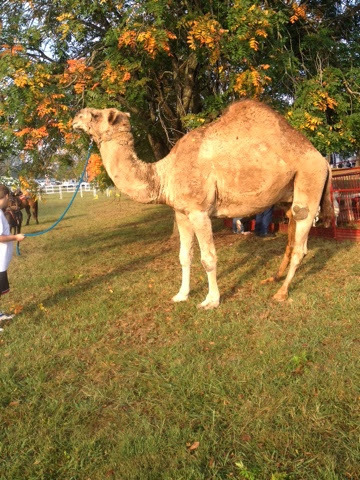 It was interesting seeing a camel, since that isn't what you would normally expect at a petting zoo. My students have ePals now from France and Mexico. They were able to email their pals this week for the first time and were so excited. They are already learning so many things about other cultures. Their ePals from France sent their height in their letters and my students were asking me if they were short because they were "only 1 meter" tall. We had some great discussions about other cultures and it was great seeing them so excited to learn about people. Today my cheerleaders were able to participate in the homecoming parade for our local high school. The parade started at the middle school and made it's way to the high school. Once at the high school there was a float contest, performance by the band and then cheerleader performances. All the local cheerleading squads were able to perform for the high school students which was a lot of fun. It also was a nice day for me to get to have a day off from teaching. I couldn't be more thankful that it is Friday. These past few weeks have been so tiring and I'm ready for a fresh start. I start new units new units next week which I'm excited about. I also plan on trying to exercise more next week so I can gain some energy. Next week is also our last football game of the season. I will be very thankful to have a few weeks off of cheerleading before basketball starts up. Calling all Middle School Pinterest lovers!